Get up close and investigate all sorts of plants, animals and objects with this 100x Microscope! 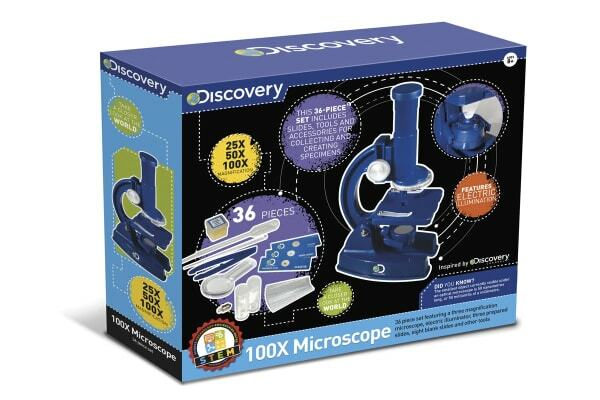 This Discovery Kids 100x Microscope features three magnifications 25X, 50X and 100X and an electric illuminator so you can see the world up close! 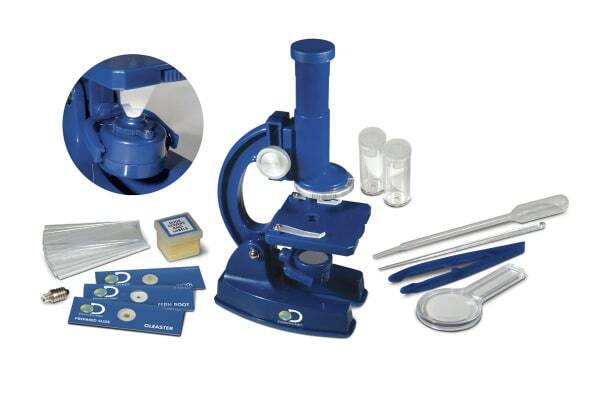 This set includes three prepared slides, eight blank slides, two specimen vials, tweezers, pipette, spare bulb, instruction manual and much more.